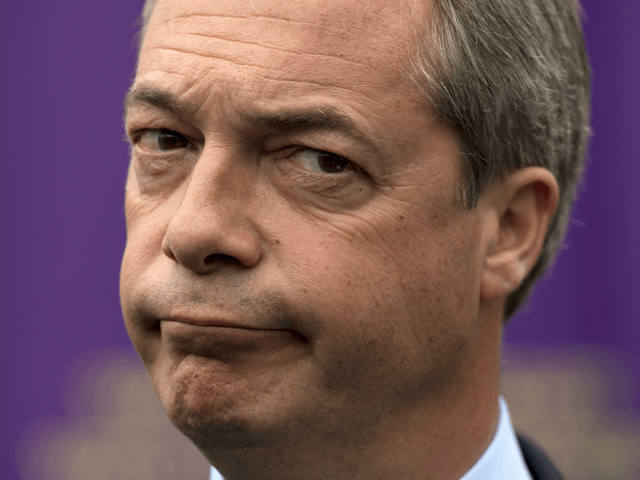 Brexit architect Nigel Farage has labelled the BBC the “Biased Brussels Corporation” after it was revealed the tax-payer funded broadcaster has received more that £4 million in funding from the European Union. The BBC has received €4.8 million (£4.2 million) in grants from Brussels since 2015 as part of the bloc’s Horizon 2020 programme, according to The Telegraph. The largest single dispersement was for the €1.1 million (£970,000) project SUMMA (Scalable Understanding of Multilingual Media) started in 2015 which aims to “create a platform to automate the analysis of media streams across many languages,” according to the BBC News Labs website. Two other funded projects exposed are the “Global Under-resourced Media Translation” (GoURMET) project (€549,462) and “Harnessing Data and Technology for Journalism” (JOLT) (€546,575). “The BBC claims that none of the millions it has received from the EU over the last decade find their way into its editorial budget,” Mr Farage wrote for The Telegraph. “Yet if this is all so innocent, why doesn’t the BBC just come clean and tell the people about its cosy relationship with the EU? The MEP then presented the “bizarre” example of the broadcaster airing Eurocrat Guy Verhofstadt’s thoughts on Brexit “in which he savaged Britain’s current position in pretty much every way he could think of,” but failed to cover Mr Farage’s speech, which has since been viewed on social media more than six million times, despite both European lawmakers making their statements during the same sitting of the Strasbourg Parliament. “…a UK politician’s contribution to an EU debate is ignored, and a foreign politician’s critical view of Brexit is trumpeted as loudly as possible. In short, editorial bias,” Mr Farage wrote. The Brexiteer went on to reference a Guido Fawkes review that found that nearly three-quarters of panelists on the BBC’s major news discussion programmes on television and radio were Remainers, with Brexiteers outnumbered on average four to one in eight shows sampled in September 2018. “The old joke has often been that BBC stands for ‘Brussels Broadcasting Corporation’. On the evidence above, I’d go a step further and say it stands for ‘Biased Brussels Corporation,’” the veteran campaigner concluded. A Civitas think tank study from 2018 found that the BBC had been suppressing Eurosceptic voices for the decade preceding the 2016 referendum. From 2005 to 2015, of 4,275 guests discussing EU matters on BBC Radio 4’s Today programme, only 132 (3.2 per cent) were Eurosceptic. The BBC is funded by a compulsory television tax for anyone who watches live television or uses BBC iPlayer services. Failure to pay can result in a fine or prison sentence with a report from the Daily Mail in 2017 finding more women than men are jailed for not to pay their licence fee. The cost is set to rise from £150.50 to £154.50 from April 1st, 2019, while the broadcaster is also considering scrapping free television licences for senior citizens. Director of the charity Age UK Caroline Abrahams told Moneywise, “This £4 a year increase to the TV licence fee adds insult to injury for the over-75s who face losing their free TV licence next year. The Times reported last week that more that 860,000 viewers cancelled their television licence in 2017/18. Dubbed the “Netflix Effect,” it is believed Britons are ditching ‘Auntie’ in favour of streaming services such as Amazon Prime Video, Now TV, and Netflix, whose basic annual subscriptions are all around half the cost of a BBC TV licence.